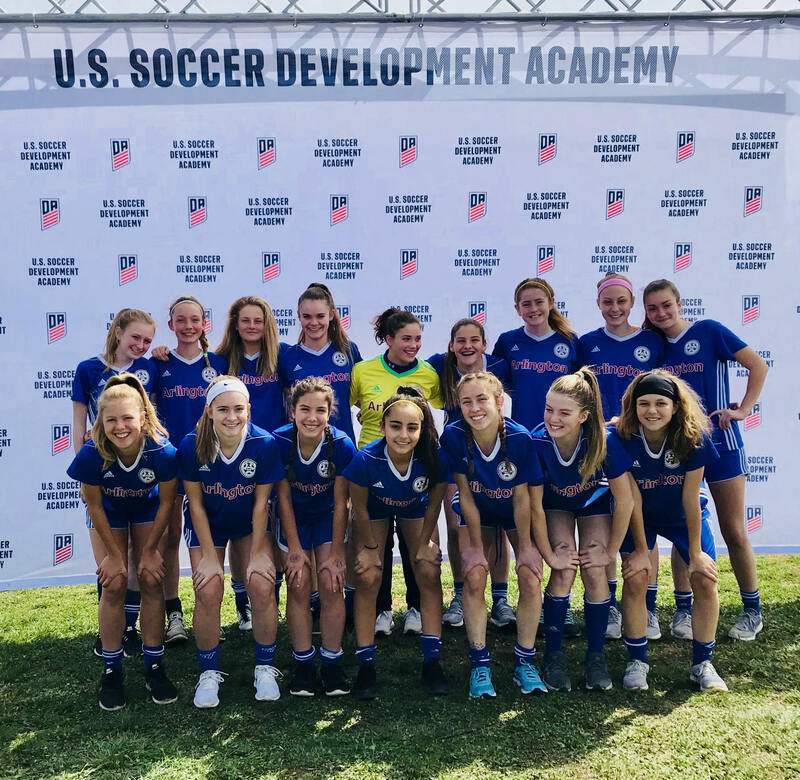 Arlington Soccer's 2003 girls were the first ever Arlington Soccer team to compete in a U.S. Soccer Girls Development Academy event this past weekend in Greensboro, NC. Coach Gerardo Ramirez and staff directors led by Director of Travel Coaching German Peri were on hand to mentor and support the girls through this inaugural event. Looking forward to establishing the club as a force and their debut as a Development Academy (DA) team in 2019, the 2003 girls team went into the showcase event determined to make their mark and prove themselves worthy. They didn't disappoint, beating established DA teams from the IMG Academy (FL), Long Island Soccer Club (NY) and capped off with a thrilling, come from behind win with 2 goals in the final 4 minutes against Shattuck-St. Mary's (MN). As Coach Gerardo said, "This was a very meaningful experience for these girls and the entire Arlington Soccer Girls program. We look forward to carrying the momentum created by this showing in the US Soccer Development Academy Girls Showcase to all the Arlington Soccer girls teams taking part next season and beyond."